The government of Prime Minister Justin Trudeau announced a Defence Policy Review in 2016. This was to be the first review of Canada’s Defence policy in many years, with the most recent white paper on Defence published in 1994. The review sought the input of Canadians in an extensive engagement and outreach process. The advice of Parliamentarians and our Allied and NATO partners were sought in the formulation of policy. The Minister of National Defence hosted a series of roundtables around the country to discuss the subject matter with experts prior to the formalizing the policy by releasing it on June 7, 2017. The resulting 113-page document, Strong Secure Engaged, sets out a blueprint for Canada’s Defence policy into the future to 2027. It talks about anticipating, adapting and acting on future Defence threats. It also speaks to the funding commitments required to give effect to these Defence requirements. While National Defence represents the single largest Budget item, Canada spends only one per cent of its GDP on Defense and is far from meeting the NATO prescribed 2 per cent of GDP. Of 28 NATO countries, Canada ranks among the lowest in terms of Defence spending as a percentage of GDP. The policy review recognizes that there needs to be sustained funding to fund critical infrastructure and capabilities to protect our sovereignty and security. The review made specific reference to the Arctic. It moved away from specifically referencing sovereignty to more functional terms such as monitoring and surveillance. 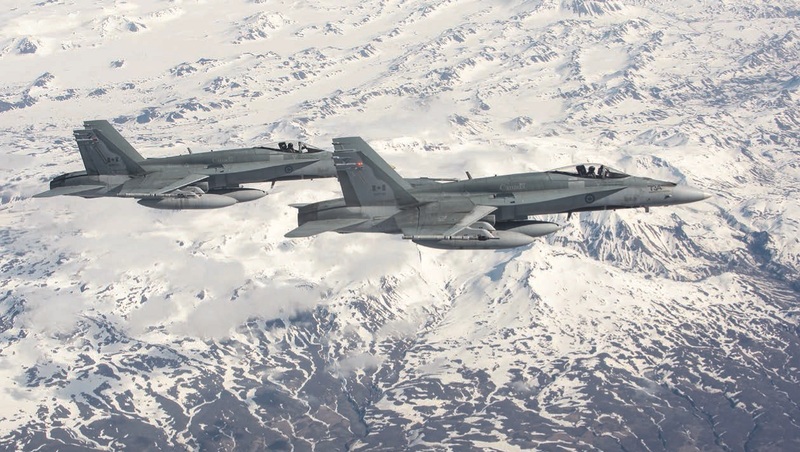 The policy acknowledges NATO is paying increasing attention to Russia’s ability to “project force” from the Arctic and says Canada will be ready to “deter and defend,” should the need arise. This takes capability to operate in the arctic. As Arctic waters open up, increased marine traffic will require Canada to be able to respond with search and rescue missions. In Canada, search and rescue is led by the Department of National Defence which deploys dedicated air assets, among which are recently purchased fixed-wing SAR aircraft. These will operate from bases in southern Canada. The policy review continues to support an Arctic naval presence and holds that the Royal Canadian Navy’s Arctic Offshore Patrol Vessels (AOPV) will work with the Canadian Coast Guard and allied partners to help ensure non-naval research, tourist and commercial vessels are supported in the Arctic. AOPV vessels are being built at Irving’s shipyard in Halifax represent the first element of the surface combatant program of the National Shipbuilding Procurement Strategy (NSPS, since renamed “NSS”) that has been underway since 2010. It is believed that at least five AOPV vessels will be delivered. AOPV vessels have limited icebreaking capabilities, but have the ability to carry a helicopter for ice reconnaissance and potentially antisubmarine warfare, and will be ice-strengthened for Arctic operations. The operational role of these vessels is still being developed, but will include a multi-mission capability supporting general government operations, in additional to a naval function. The first vessel of the new Harry DeWolf class-designated vessels will be commissioned in late 2018. As part of Canada’s maritime defense policy, a refueling port is being developed at the former mine site at Nanisivik on Baffin Island at the entrance to the eastern Northwest Passage. Nanisivik Naval Station is not going to have much in the way of port infrastructure other than a seasonal refueling docking facility. This facility is critical for AOPV operations, given the great distances to travel in Arctic regions when operating from southern bases. The policy review notes the challenges in monitoring the vast region: “In addition to being a vast, sparsely populated area, satellite coverage at extreme northern latitudes and the nature of the polar ionosphere create unique issues for sensor and communications capabilities, …” In order to address these challenges, the review stresses coordinating sensor information collection and the key role of data integration from sensor information generated by drones, submarines, satellites, and personnel. The review also stresses the important role to be played by the Inuit- and First Nations-led Canadian Rangers which are embedded in the communities throughout the Canadian Arctic, who are an invaluable asset to Canada. The review seeks to expand their training and improve their ability to support other branches of the Canadian Armed Forces. Recent Arctic military operations have shown that the Canadian Rangers and their local knowledge combined with the latest in technology is of key importance to future operations. It also recognizes the importance of engaging Northern communities in operational exercises both with Canada and our defense partners. Among the numerous challenges in operating in Canada’s Arctic, one of the most critical remains reliable communications, including satellite coverage of the region. In addition, marine domain and situational awareness and tactical movement are two others that are specifically addressed in the review. The policy review seeks to develop a new radar system and sensor system using the latest in technology. There are challenges in operating in Canada’s Arctic waters from a Defence as well as commercial shipping standpoint. The Defence Policy Review takes a realistic view of the situation and provides an overarching policy direction, with funding allocated to achieve these policy goals by acquiring the necessary infrastructure and capability. Canada also recognizes that involving local communities through the Canadian Rangers is a key component of its strategy moving forward. By bolstering its Defence capabilities in the Arctic, Canada will increase its ability to defend the realm, will get closer to meeting its NATO and NORAD obligations, and will ensure that Canada’s economic potential is realized in the region. Joe Spears is an Honorary Ranger of 2 CRPG Second Ranger Patrol Group based in Nunavik (Northern Quebec). He has spoken at Northern Watch conference hosted by the Defense Research and Development Canada at Dalhousie University Centre for Foreign Policy Studies. Joe can be reached at joe.hbmg2@gmail.com.